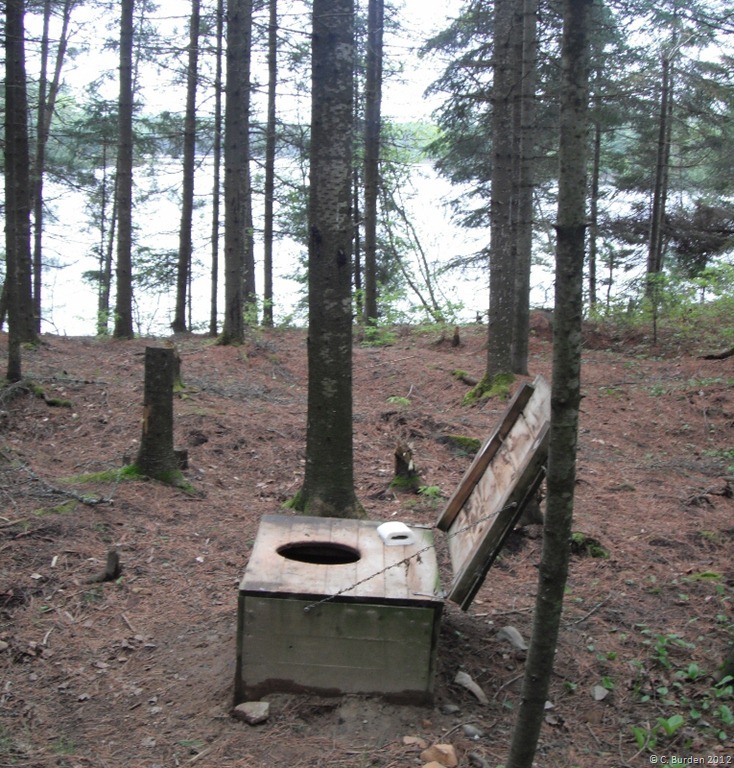 Years ago, when I first mentioned to my husband that I would like to take a trip into the back country of Algonquin Provincial Park, he thought I was nuts. 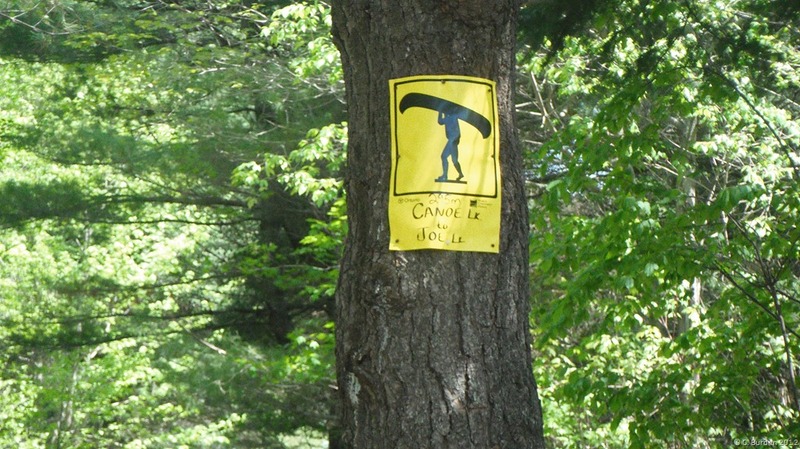 Especially since what I actually meant was we would canoe, then portage, then canoe some more while looking for a campsite. We would rent three canoes, one for me & the fifteen year old, the second one for my husband and the ten-year old, and the third one was for our twelve-year-old and my brother (who said he had canoeing experience). Though my husband thought I was crazy, he started to prepare for the inevitable by doing chin-ups, push-ups, upper body strength exercises, etcetera. This would be a five-day trip so we needed to bring quite a bit of food for the six of us, plus all of our gear. We crazily had an insane amount of gear, six sleeping bags, three air mattresses, one very large sleeping tent, one very large kitchen tent, six small lawn chairs, cooking utensils, two coolers, back packs, towels, life jackets, fishing rods, an axe, rope (for tying the food in a tree), one book for each child, one toy for each child and the map. We started our trip with the four and a half hour drive to Algonquin Provincial Park arriving at our destination around lunch time. We rented the canoe’s and started the careful packing. An hour or so later we were finally off into Canoe Lake, our starting point. This is a pretty big lake which can either be very calm or full of white caps. This day would not be a calm day and as it turned out, my brother was not the best at steering a canoe! We were not even a quarter of the way across the lake when we realized my brother and middle child were very far behind and not going anywhere fast. What to do? Naturally we had loads of rope with us so my husband decided it was best to tie the lagging canoe to his and he would basically pull/paddle/steer for the two (good thing he had been working out for months). Three hours later we were finally across Canoe Lake and at the portage to Joe Lake. We unloaded the canoes, giving everyone something to carry as we walked the 295 metres to Joe Lake, numerous times. Once we repacked the canoes, tied the one canoe to the other, we were off to our destination the East Arm of Joe Lake. Now each campsite is marked with an orange triangle and there are exactly ten sites on the lake. It was starting to get dark when we entered our destination and hubby was getting very worried that we would not find a campsite even though I reassured him numerous times that a site was pre-booked, of course it is still first come first serve. We paddled and paddled and paddled finally finding a site that wasn’t occupied – the second last one on the lake! It was a gorgeous site, but we couldn’t appreciate it at that moment because we had to unpack everything, set up the tent and get some food into our tummies. Sandwiches for the first night. Next we had to find a suitable tree to tie the food up so the raccoons and/or bears would not be tempted. We found a rock to tie some rope around it and them we started the fun of throwing the rock in the air trying with all our might to get the rope around the perfect branch that was high enough from the ground and strong enough to hold our food. The day is filled with swimming in the lake, fishing, more canoeing and just relaxing whilst the kids play. When swimming we always wear are life jackets regardless that all of us can swim well. We are in strange waters and it is always best to be safe. For example, on the one day while the eldest was practising her canoeing skills, hubby & middle child were swimming around her, my brother, my son and I were canoeing around the lake. My son asked if he could jump out of the canoe and I said sure when we get back to our site but what I didn’t realize at the time was that he would jump without the “okay you can jump now” statement from mom. As soon as we were close to our site, the boy jumped, and since we were not prepared the canoe went over dumping my bother and I in the lake. Hubby was not able to see if we were okay and for a moment he did not know what to do – the eldest was drifting down the lake, middle child and the youngest were in the water. Luckily my brother came up from under the water quite fast, but it was a couple of minutes for me since I had been hit in the head by the rim of the canoe. Once up from under the water, I yelled that I was okay and we started the task of retrieving the upside-down canoe. I can laugh at the situation now, but at the time I was quite upset. I refrained from yelling at my son since I had given him permission to jump, but explained the importance of not jumping out of the canoe when the others were not prepared. I believe we spent the rest of the day just swimming and relaxing. Sadly, my brother had to return home earlier then expected so we packed him up, canoed back to the portage, unpacked, walked, packed and canoed him back to his car. We returned the one canoe, and paddled, portage, and paddled back to our site (the one benefit of all the paddling is I did lose quite a few pounds). The last day of our adventure was amazing, the kids spent hours sitting around the campfire, feeding chipmunks which actually would sit in their hands after filling up on nuts. They sang songs, and got along fabulously! Hubby and I packed everything up into one canoe deciding it was best to put all five of us in one while towing the other (he didn’t think I had the strength to paddle a full canoe and he was quite correct). Once off, we paddled, portage, and paddled our canoe train back to the car where we unpacked and packed the car this time. We returned the canoes, and started the long drive home. Since then we have purchased our own canoes and a kayak for our eldest and have returned to the back country of Algonquin Provincial Park numerous times, each time a different site and different adventure. We do limit ourselves to one portage even though the now teenage boy would like to do quite a few. Note: this was first published as a page in 2012, but the actual trip had occurred years before. This entry was posted in adventure, backcountry, Camping, campsite, canoe, Canoe Lake, Children, East Arm of Joe Lake, Family, gear, Holidays, Joe Lake and tagged paddle, portage, Travel on July 18, 2012 by AlwaysARedhead.